Need a professional Voice Over for explainer videos, radio commercial or Podcasts for just $5? Then this article on Fiverr Voice-over artists is for you. You probably have heard a voice over at one time or another and they are most common in radio, television, and film. Voice-over provides an effect way to evoke emotion and get important information across to an audience. 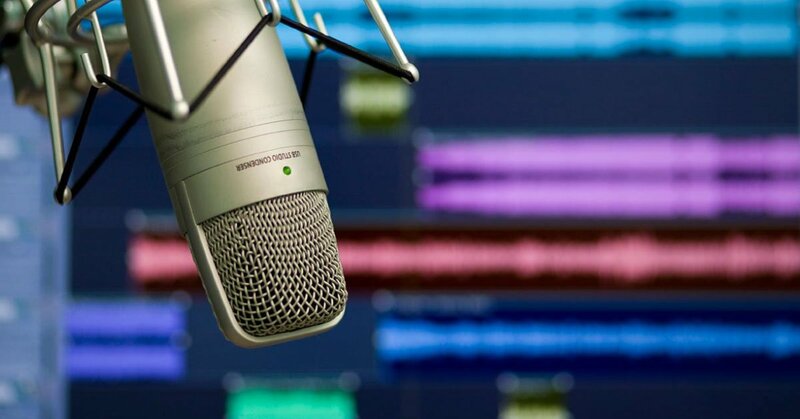 Often, voice-over actors are hired specially to perform voiceovers. Their role adds up the production value and without them, the media wouldn’t have the same impact and the entertainment industry would be at a great loss. With little or no production budget, hiring a professional voice over can burn a hole in the pocket. But if you are dedicated towards your work and still wants to make your videos sound professional, there is a platform for you to get a voice over done for as low as $5. Yes, you read it right, for just $5, a Fiverr voice over artist can hook you a high-quality voice over for your videos. Recently we launched our new platform for photographers – PixelWale.com and the voice over for our introductory video was done by a Fiverr Voice-over artist Sean C, Fiverr username – YourHighness. The voiceover was done in a few hours and turned out great. You can watch it here. Sean is a top rated Fiverr seller from the United States and is working as a voice-over artist for over 3 years and completed nearly 4,000 orders for thousands of happy clients. He invests 20 hours a week on Fiverr gigs in his home studio and uses a professional microphone and sound editing software to provide the highest level of professionalism. As it is a great source of income, Sean plans on continuing his Fiverr services for many more years to come. When he is not working for his Fiverr clients, Sean is a radio host in New York. Though there are many more talented voice-over artists on Fiverr, I recommend checking out Sean’s voice-over Gig before you move on to others. Separate Files – Recording is conveniently divided into separate files. High-Quality Files – Master quality uncompressed audio file, such as WAV or AIFF. Video Sync – Synchronizing the voiceover to your video. Background music – Including a royalty free music/sound effect. If you are in a hurry, you can purchase the additional VIP Line Gig where Sean will record your voice over first. Voice-over is an important part of our movie and television experience. In many cases, voiceover represents more than just information but has become part of a product, building trust and credibility with consumers.